I was really hoping there wouldn't be an official physical video game product based on the upcoming live-action Teenage Mutant Ninja Turtles movie, if only to avoid seeing these ugly mugs on store shelves. Coming in August from Activision, the company that's made a name for itself for releasing average Teenage Mutant Ninja Turtles video games, comes another one. This one is a third-person action game which pits Michelangelo, Donatello, Leonardo and Raphael against the forces of mutants, robots, Baxter Stockman and the Foot Clan. It's a beat-em up, but with experience points and character upgrades, just like grandma used to make. From the looks of these first screens, players will be able to switch between the four turtles on the fly. 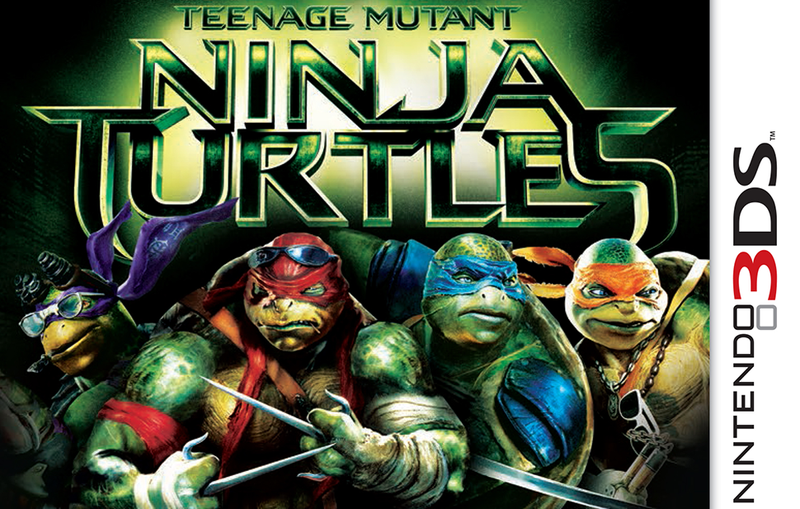 It also looks like Raph and Donnie are wearing horrible hairpieces, and Mikey is wearing lipstick. Here we see the turtles fighting against the former lead guitarist for Guns N' Roses. Before you dismiss this game as a worthless movie tie-in, consider this: the game is being developed by Magic Pockets, the studio behind Baldur's Gate: Dark Alliance (GBA version) and at least eight different titles in Ubisoft's Imagine line. Make of that what you will.